This is the shop / workshop of Josef Joachim Vedral, known violin maker. The front portion of the monumental retail space is always equipped with the original decor with wood panelling and wooden cabinets that are fully protected and may not be removed. In the basement are visible parts of the original kitchen, this also belongs to the protected monument. 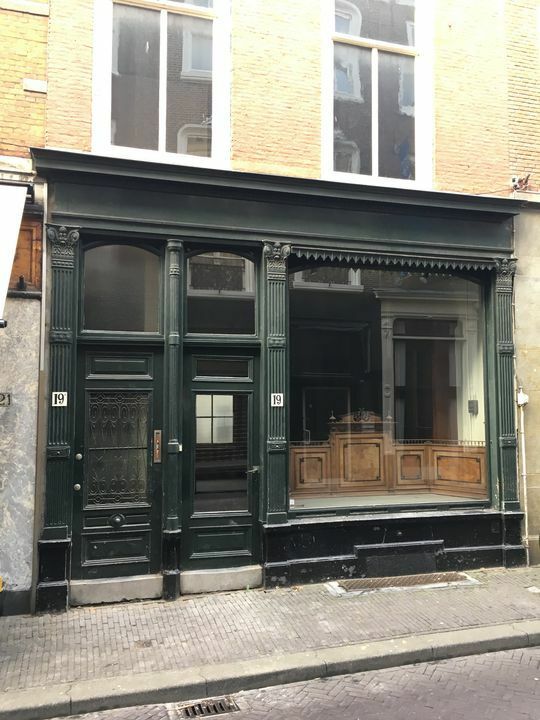 Landlord intends the space with respect to the historic value of the object and to adapt the rich history / renovation so that it will meet again in terms of equipment to the requirements of the times. The space is ideal for retail with office space, but there are even limited housing opportunities imaginable. The shop is located in the Hofkwartier near the promenade (aka Palace Promenade called) Noordeinde amid retail warehouses from third Caroline Biss, Mody Mary Oger Max Mara Steltman Watches etc. etc. Also the working palace of King Willem-Alexander is within this centrally located exclusive shopping. Molenstraat forms with its unique historic character the historic heart of The Hague as well as a connection between the Noordeinde and Hoogstraat to the Prince Street Torenstraat. * Ground floor: approx. 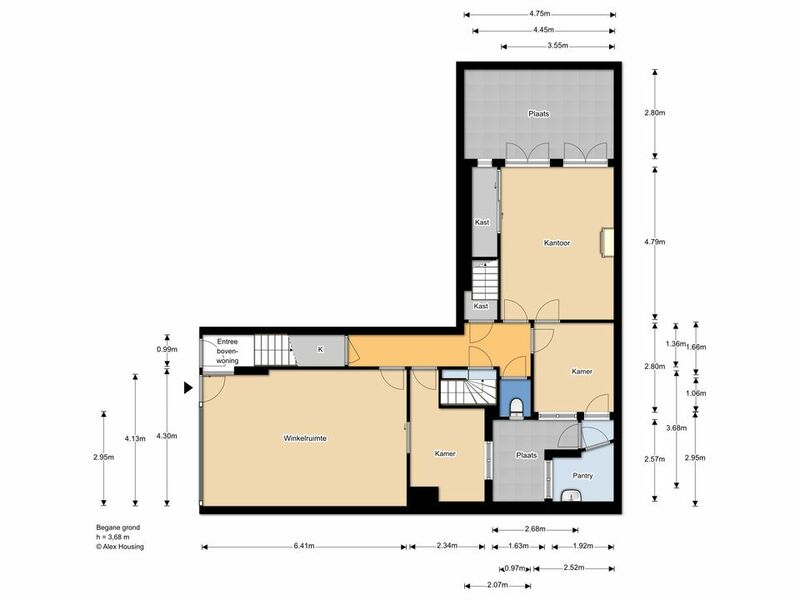 78.30 sqm retail / living. Yardages above are measured following the NEN 2580 Measurement Instruction. Shopfront: in fact, approximately 4.2 meters (optical approximately 5 meters). Usage: According to Article 7: 290 DCC as retail space, but also services e / o workshop related activities are possible. 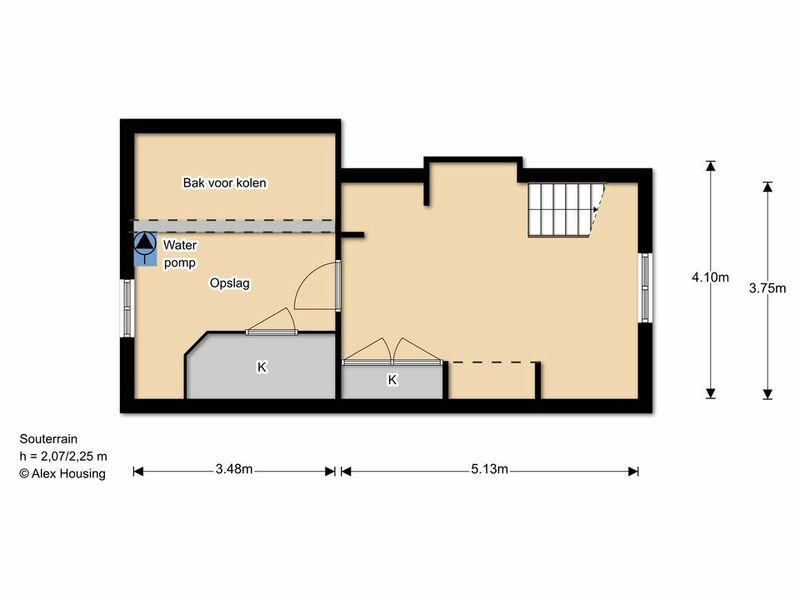 Parking: On the road (Noordeinde Palace Street, Orange Street, Amaliastraat, Heulstraat, Kneuterdijk, Lange Voorhout, Prince Street Torenstraat) are reasonably paid parking facilities. After 17:00, the parking garages Heulstraat and Park Street opened to the public. The garage on the Avenue and Torenstraat are open all day. price: € 1995, - plus per month with the B.T.W ..
rental period: 5 years + an extension period of 5 years each time (notice period of 12 months). Indexation: annually, for the first 12 months after date of hire, the price will be adjusted to the increase in the Consumer Price Index (CPI), series all households (2015 = 100), as published by Statistics Netherlands. Service charges: None, tenant must provide all utilities with keys on his name and directly pay all costs to the relevant utilities.